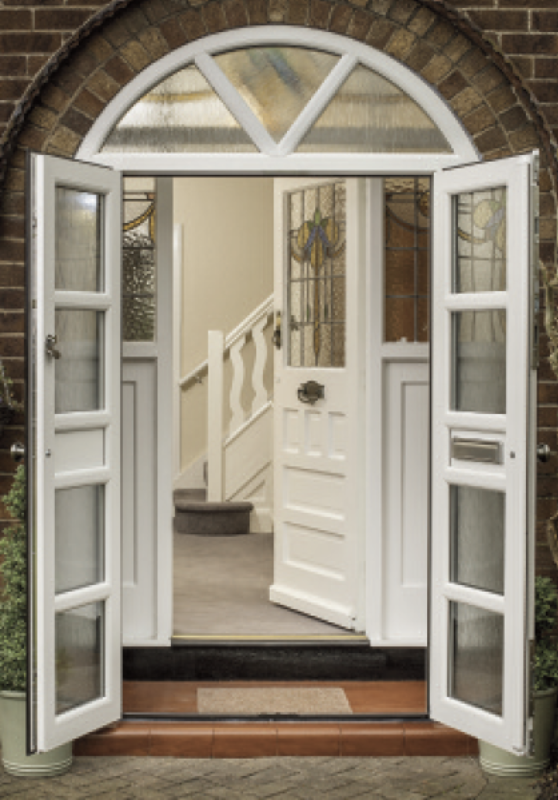 Our NEW French doors are the first of their kind, fashioned from the latest composite technology and have a superior look and feel. 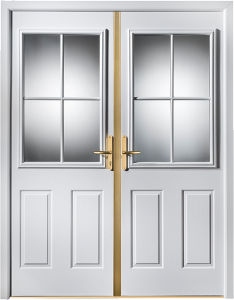 New features include full 4mm GRP skins, consistent throughout the door and a deeper feature groove giving greater definition and higher quality finish. 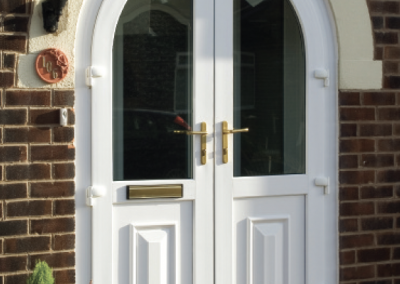 Force 8 can offer you a great choice of French doors which are very popular within traditional homes and smaller properties. 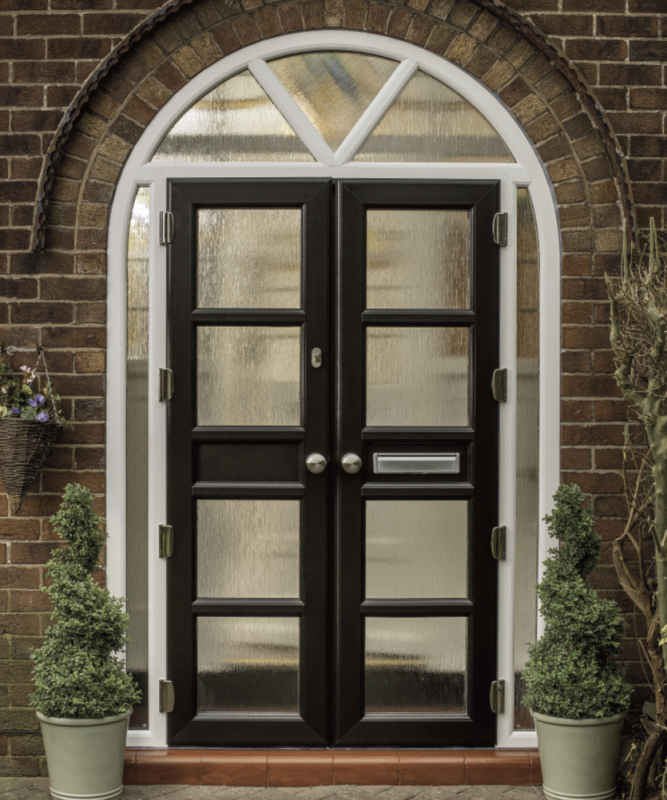 This style of door allows you a quick access to your garden, allowing you to have the outdoor within the comforts of your own home. 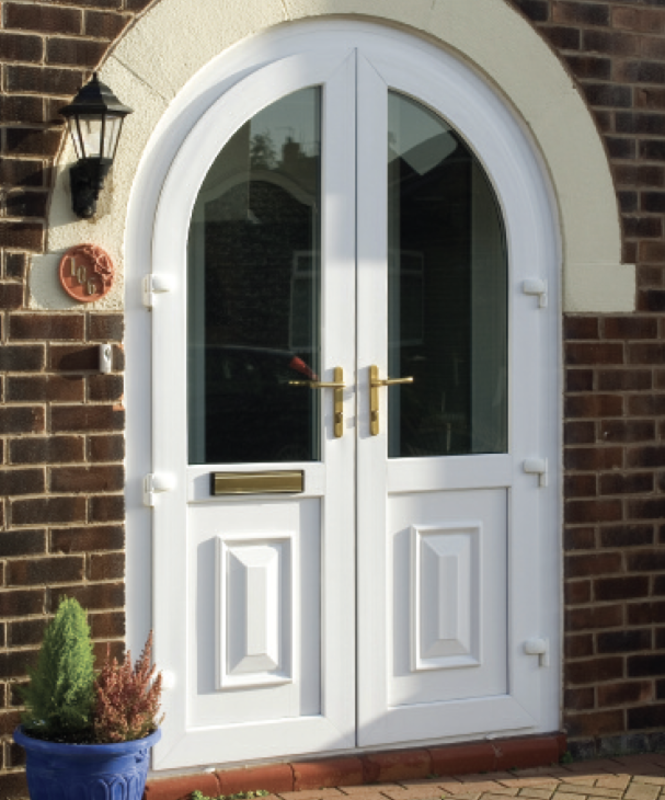 Our French doors provide a stylish finish that provide the highest level of security that is all year round. 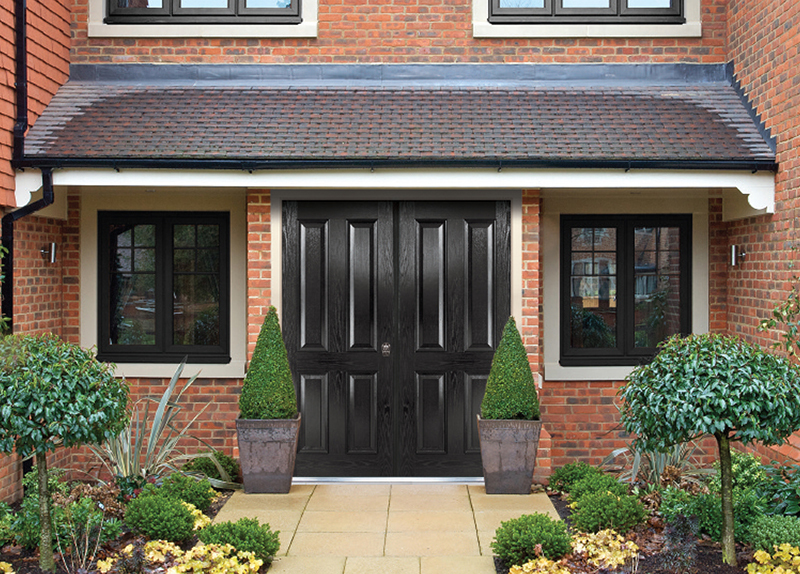 Our French doors are available in a grained finish or our smooth finish which are then matched with our 210 RAL colours. 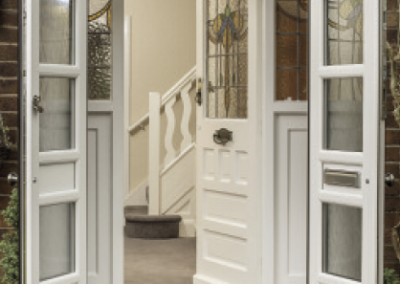 Furthering the aesthetically pleasing finish to your home, you can match or contrast your French door to any window or door that you have previously had by us. 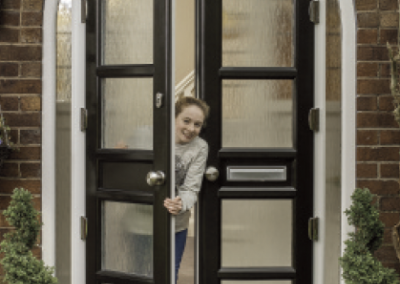 A lever/lever handle is on both sides of the door with a slam shut available. Force 8 uses SFS Dynamic 2D hinges which have style and security as standard. There is also a low ally threshold available, giving better disability access. 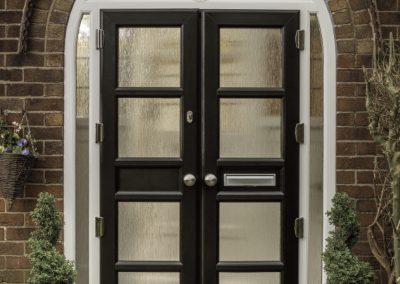 All our doors are manufactured using composite materials, you’ll have superior thermal insulation properties, making the door resistant to all types of weather conditions. 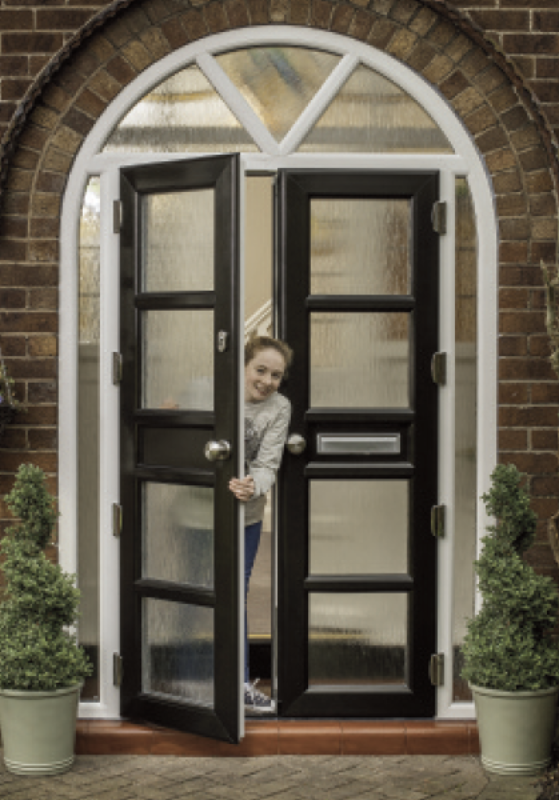 As colour GRP skins are used on the door this’ll mean that you’ll never have to repaint your composite door as knocks and scratches won’t show, making the door virtually maintenance free.